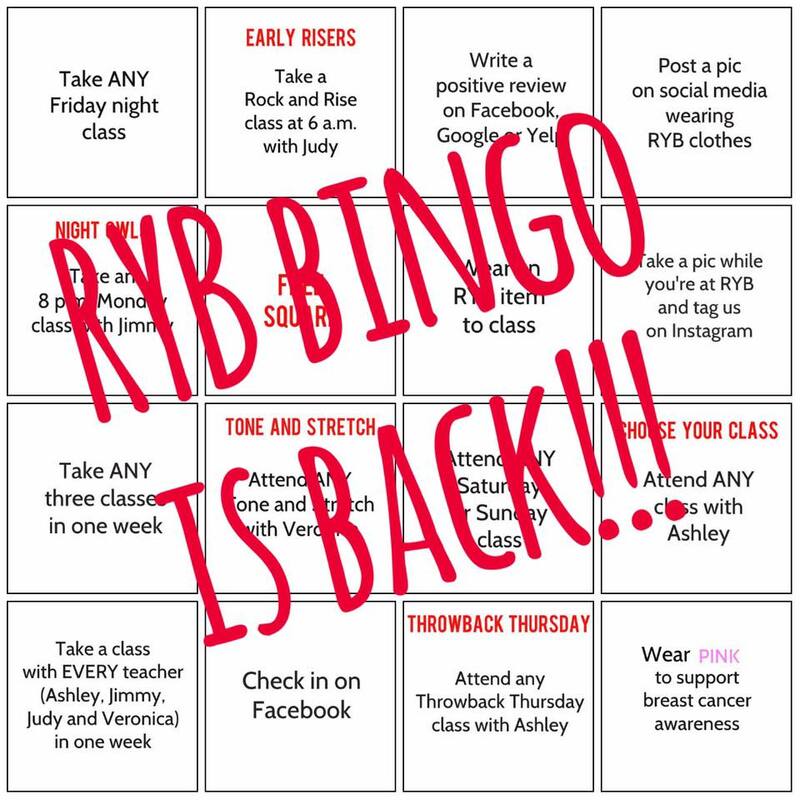 RYB Bingo is back! Throughout the month of October, collect stamps on the bingo cards available at the front desk — simply by coming to class! Once you get a bingo, you will be entered to win a great prize! Contest runs Oct. 1-31, 2017. Winners will be announced Nov 1.